Angus MacAskill was a true giant whose size and strength rivaled even that of Andre the Giant. 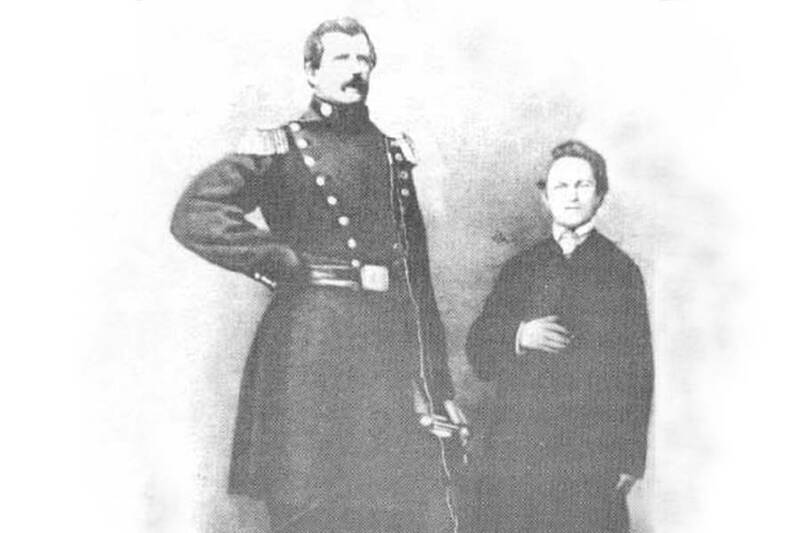 Wikimedia CommonsAngus MacAskill standing next to a person of average height. P.T. Barnum was world renowned for finding the tallest, smallest, oldest, youngest and most interesting specimens that the world had ever seen, but even he was surprised by Angus MacAskill. Standing almost eight feet tall (seven feet, nine inches, to be specific), Angus MacAskill was a sight to behold. Most surprising about his size was that it was entirely natural – unlike similarly large humans, like Andre the Giant or Robert Wadlow, Angus MacAskill wasn’t suffering from gigantism or an unusual amount of growth hormones. In fact, he was entirely proportional, and aside from his size, entirely average. Well — not entirely. Along with his enormous size, MacAskill possessed enormous strength. In his youth, he was seen lifting a 2,800-pound ship anchor to chest height, could carry two 300 pound barrels at a time, could set a 40-foot mast on a schooner deck, and once lifted a full-grown horse over a four-foot fence. When he was just 14 years old, he got into an altercation with a grown man and delivered a punch to his jaw that sent the man flying. The blow rendered the man unconscious for so long that he was believed to be dead. Eventually, P.T. Barnum heard about Angus MacAskill. Such a man with such impressive strength and size would obviously be a wonderful addition to his show. So in 1849, when MacAskill was 24 years old, Barnum offered him a place in his traveling show. For the next several years, MacAskill toured the country with Barnum’s circus, eventually traveling to then-exotic parts of the world like Asia and the West Indies. 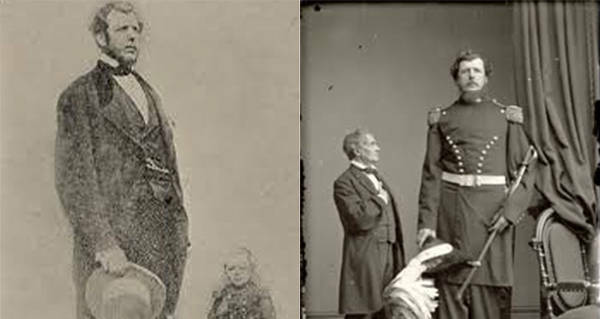 Throughout his travels he gained fame for standing alongside Barnum’s smallest attraction, a man called General Tom Thumb, who stood just three feet, four inches. When standing next to each other, the two men’s extreme heights were even more pronounced, resulting in increased wonder from the audience. 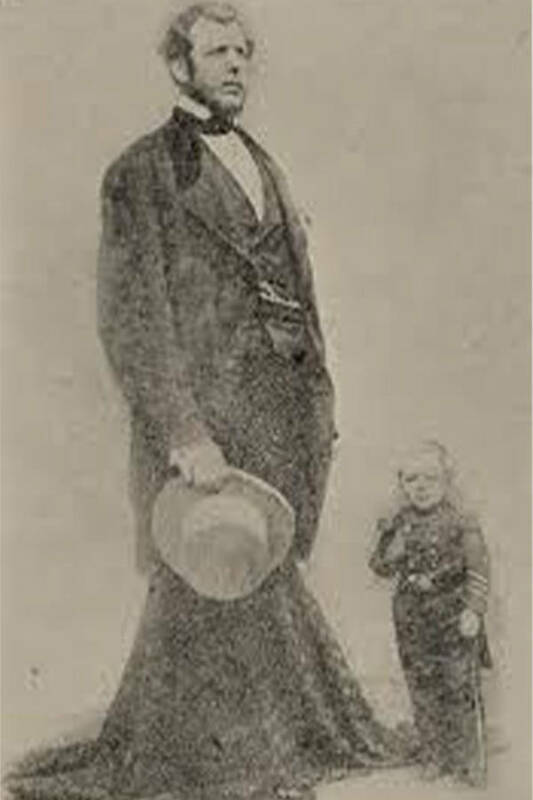 Wikimedia CommonsAngus MacAskill stands next to General Tom Thumb on P.T. Barnum’s tour. At the height of his performance career, Queen Victoria heard about MacAskill’s impressive size and strength and invited him to come to perform for her at Windsor Castle. He complied, and in turn delighted the queen, who was indeed in awe of him. In thanks, she presented him with two gold rings to take with him on his travels. After his show business career was over (after all, how does one compete with praise from Queen Victoria herself? ), Angus MacAskill decided to retire back to Nova Scotia. There, he purchased a small gristmill and a general store, quickly becoming a town favorite. One of his greatest products was tea, which he would sell to customers by the pound or by the fistful. A fistful of his, of course, was equal to several pounds of tea. In 1881, he was awarded the Guinness World Record for being the tallest non-pathological giant in recorded history, meaning the only giant whose size was entirely natural. 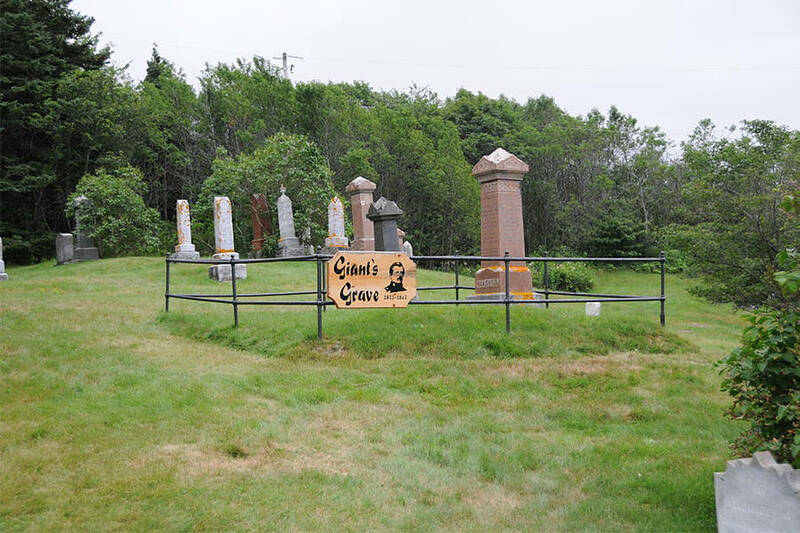 Today, a grave marker worthy of his massive size stands at his grave on Cape Breton Island in Nova Scotia. After learning about Angus MacAskill, check out this footage of a giant alligator in Florida. Then, check out these Andre the Giant drinking stories you won’t believe.